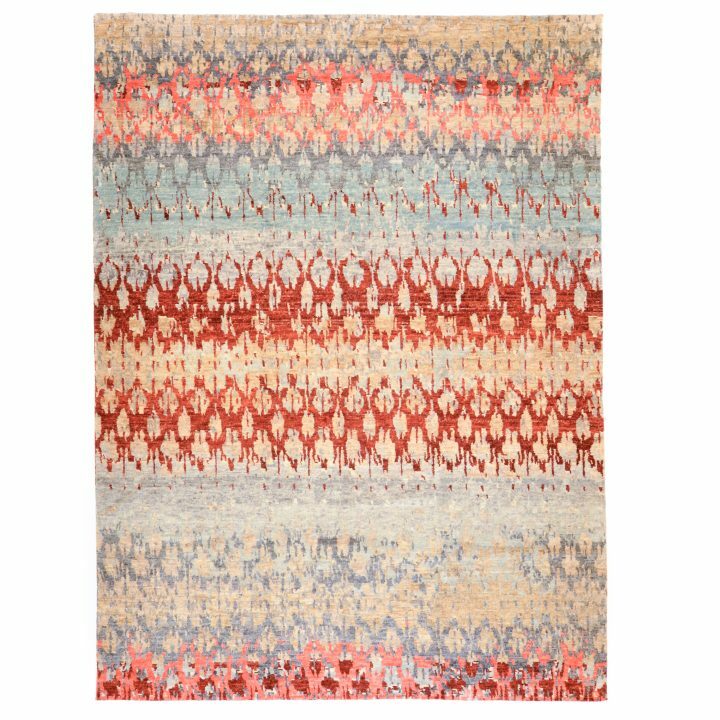 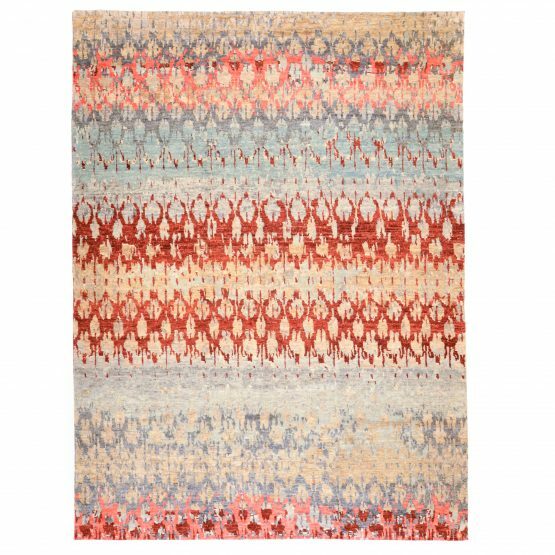 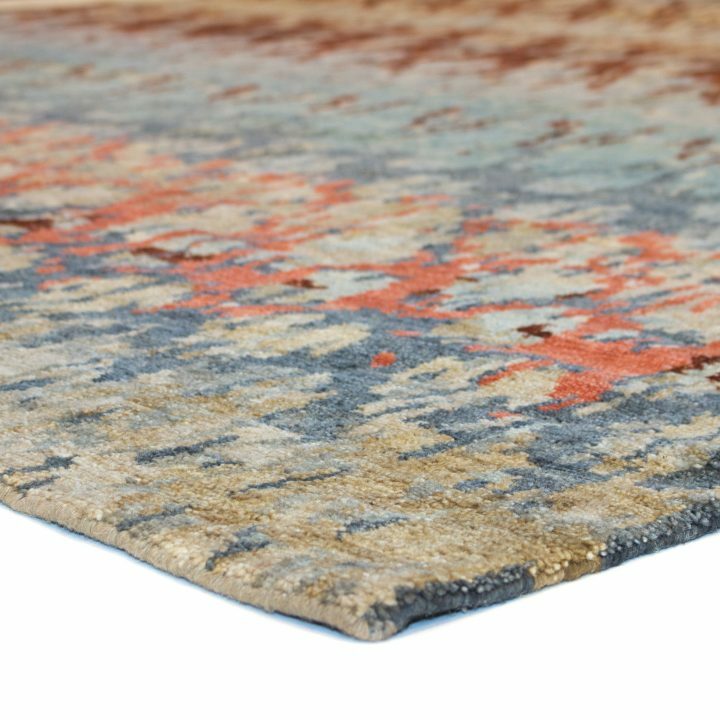 Tibetan style carpet with an abstract pattern motif in a rich color palette with reds, corals, greys, golds, beiges and other colors throughout. The pictured rug is representative only, it is natural for hand-made items to vary slightly. This rug can be made in any size you want (call for pricing, availability, customization and production lead time). 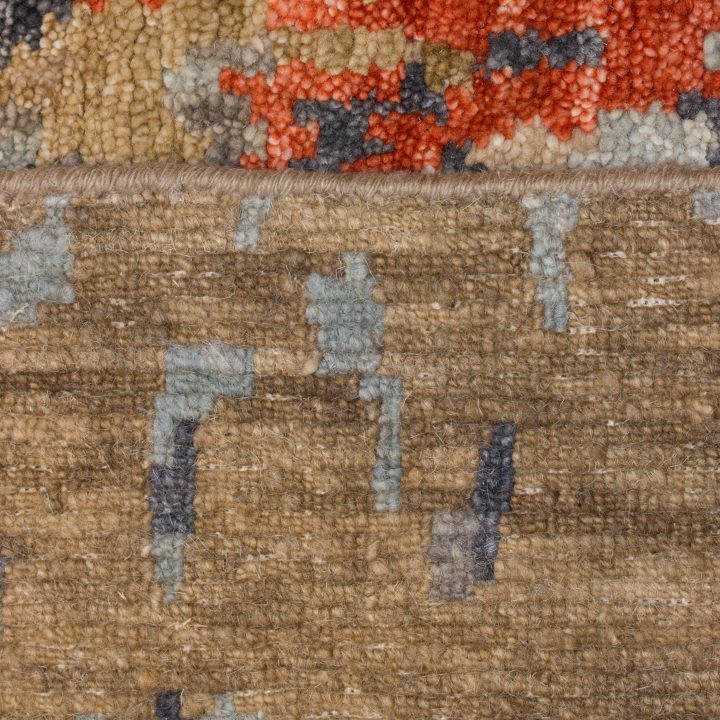 Please note: though we try our best to show colors as they would appear to you in person it is not possible to capture them precisely on camera. 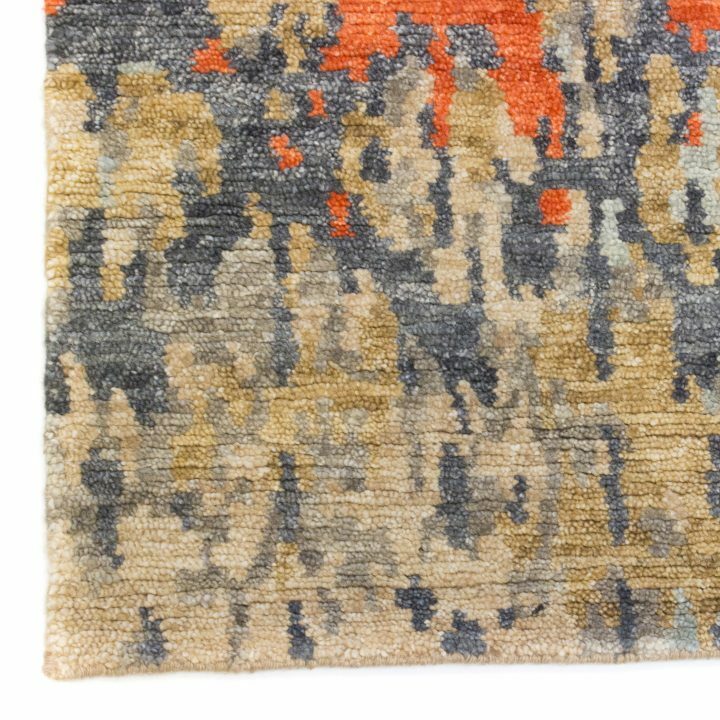 **This carpet is stocked in sizes listed, immediate availability is expected, however it may need to be imported on demand in which case delivery estimate may be approximately 120 days, we will follow up with you immediately with an ETA or you can call us for details, 1(800)272-3145 ask for Jamey or Zach.